Born in Homs, Syria in 1970. 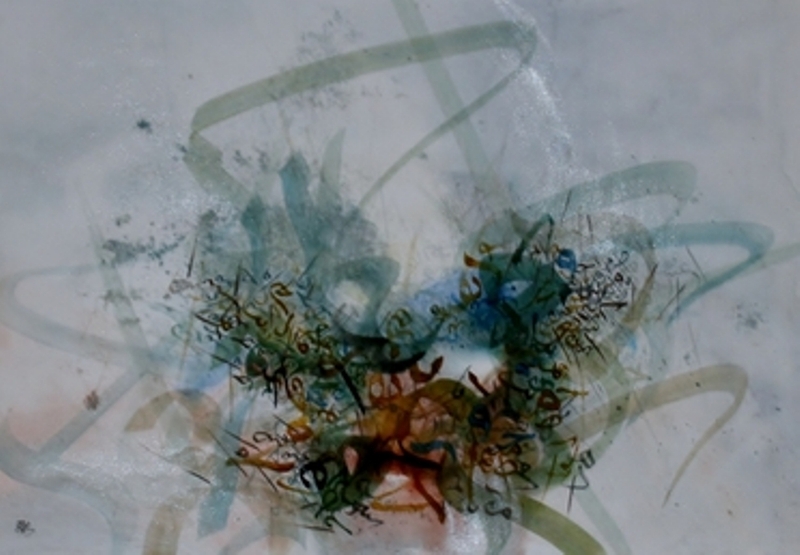 Kha­led Al-Saa'i graduated with an MA in Fine Arts from the University of Damascus in 1997. In 1998, he obtained a Certificate in Calligraphy from the Research Centre for Islamic Art and Culture (IRCICA) in Istanbul, Turkey. 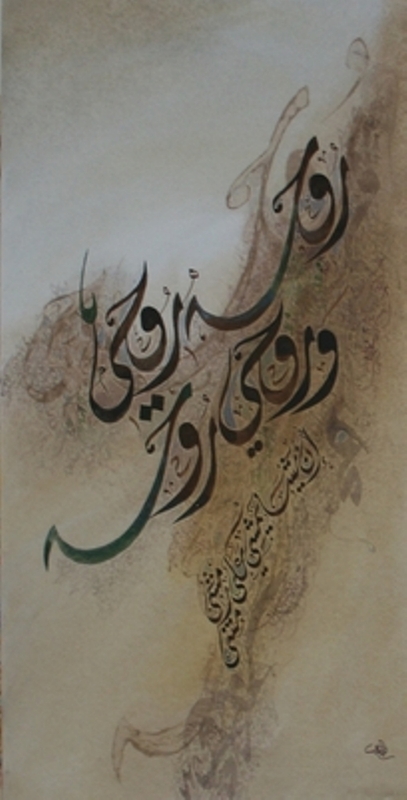 Since 2000, he has received numerous prizes for his calligraphic work, more recently the First Prize of Diwany Jaly, 7th International Competition of Calligraphy presented by IRCICA, Istanbul (2007) and the First Prize in the Modernity of Arabic Calligraphy, Third Biennial of Calligraphy, Sharjah, UAE. He lives and works in Dubai. 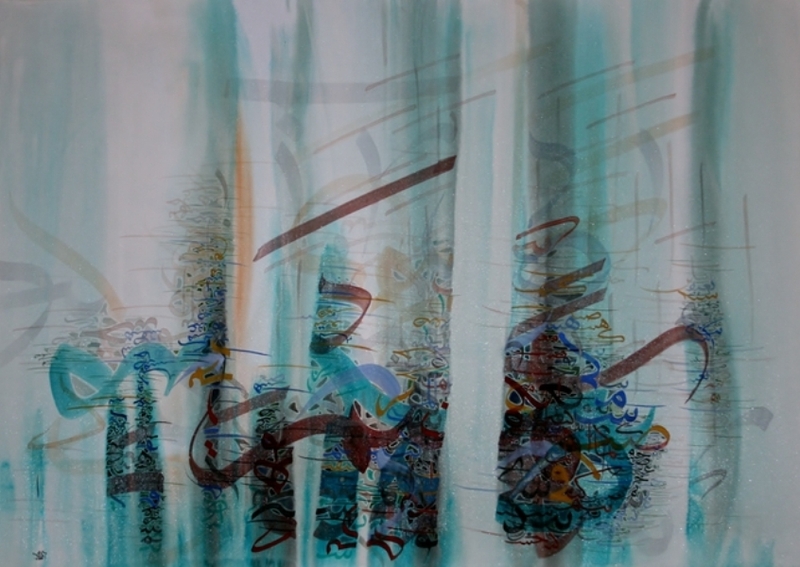 In­spi­red by poe­try and Sufi phi­lo­so­phy, Al-Saai is one of those contemporary artists who attempted to push the boundaries of traditional Islamic calligraphy into entirely new directions. 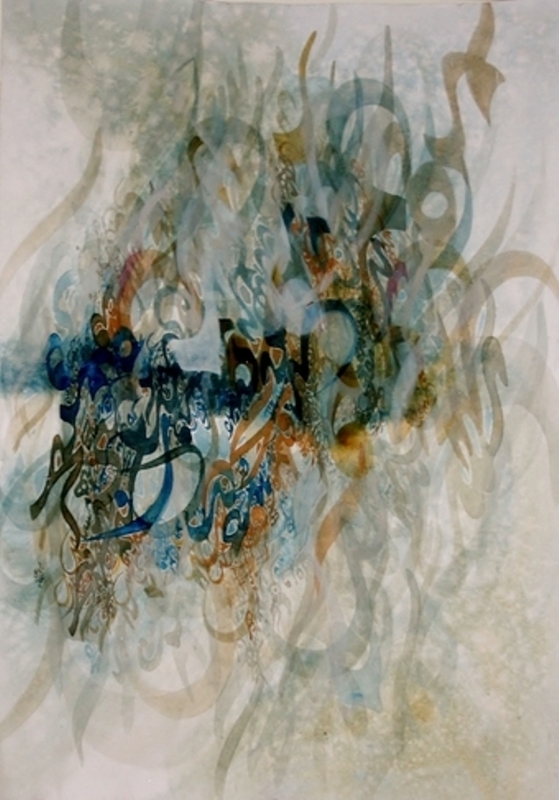 "Khaled al-Saai combines complete mastery of the thuluth script with a penchant for romantic expression that seems inspired by poetry, music, and the desert.," wrote Dr. Yaser Tabbaa in his introduction to a 2009 Nabad exhibition catalogue. 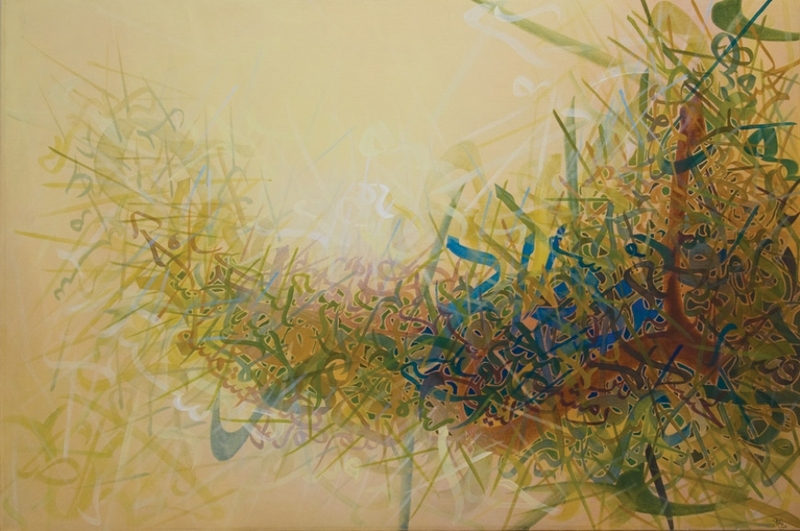 "Anchored by dense and highly saturated calligraphic forms, the paintings fade into light washes in the background, creating an astonishing feeling of space. " 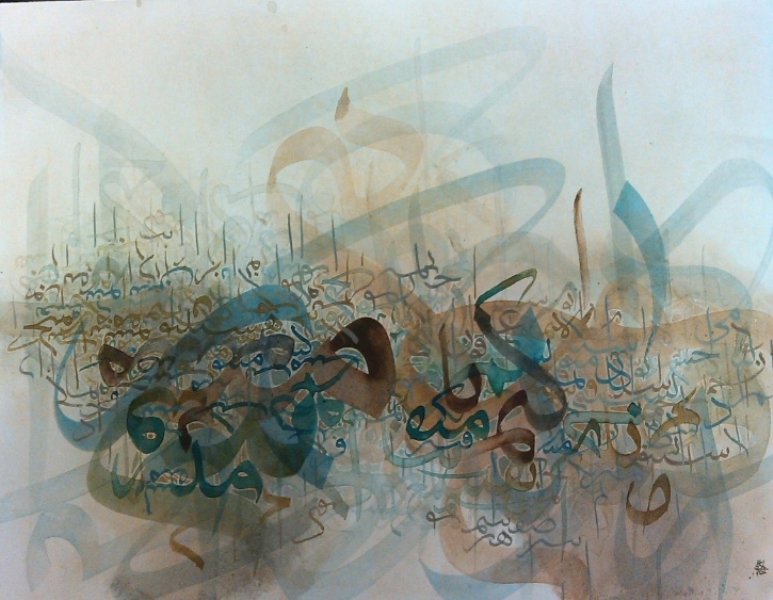 Al-Saai's works are held in the collec­tions of the Bri­tish Mu­se­um, Lon­don; San Pedro Mu­se­um of Arts, Me­xi­co; Den­ver Mu­se­um of Art; and the Mu­se­um of Cal­li­gra­phy, Shar­jah.